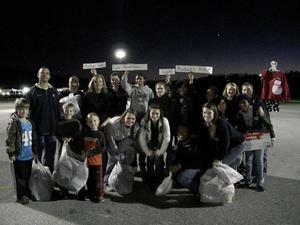 Rabun Gap Nacoochee School Girls Basketball Team shop for Richard's Kids. Tis the season for giving! Rabun County is an area rich in beautiful sites, as well as an incredibly giving community. There are so many local nonprofits that could use your help, and we've highlighted a few of them below. 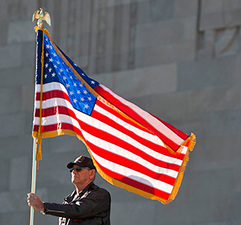 The American Legion is a nonpartisan, not-for-profit organization with great political influence perpetuated by its grass-roots involvement in the legislation process from local districts to Capitol Hill. Legionnaires’ sense of obligation to community, state and nation drives an honest advocacy for veterans in Washington. The Legion stands behind the issues most important to the nation's veterans community, backed by resolutions passed by volunteer leadership. Click here to learn more about how you can get involved today. AppCAA, as a Community Action Agency, was created in 1964 as part of Lyndon Johnson’s War on Poverty. AppCAA began serving clients in 1965 and was instrumental in the development of Nicklesville Health Clinic and establishment of community centers in Clinchport, Copper Creek, Dungannon, Prospect and Yuma. The site in Yuma was in coordination with the Yuma Ruritan. AppCAA is still dedicated to serving low-to-moderate income people of the region and is currently looking to expand the number of services available to the residents. There are many ways to get involved with AppCAA and our many programs. We have numerous opportunities to volunteer with our organization and are always looking for new volunteers. Go to the volunteer page to complete your application today! AppCAA can always use donations from the community to continue to grow our services and assist a greater number of clients. Consider making a tax deductible donation today! Go to the Donate to AppCAA page and complete the donation form. Click here to learn more about ways you can help. 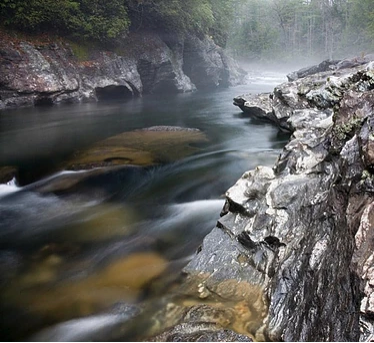 The Chattooga Conservancy is a grassroots conservation organization that formed in 1991 through the shared vision of citizens who came together to challenge the U. S. Forest Service’s intensive logging and road-building program then underway in the Chattooga River watershed’s three national forests. At that time, the Forest Service’s timber program consisted primarily of clearcutting the native hardwood forest, and then replacing it with pine plantations. Since beginning staffed operations, the Chattooga Conservancy’s accomplishments have made us one of the most effective grassroots membership organizations in the Southern Appalachian Mountain bioregion. Today, the Chattooga Conservancy’s programs are widely diversified to address public land management issues, private land conservation initiatives, demonstration and collaborative projects, environmental advocacy in public forums and land trust work. Click here to learn about their projects, and how you can help. Richard's Kids is a 501(c)3 tax exempt, Christian-based, non-profit organization incorporated within Rabun County. Our goal is to help children in Rabun County whose families are experiencing difficult financial times. Help is given primarily at Christmas,but also at other times as needs arise. We believe this is important, not only for the protection of these children from the elements, but also to help improve their self-esteem and motivate them to aspire to higher goals as they mature. Don't see your favorite nonprofit? Please contact us and let us know, we just might add it!